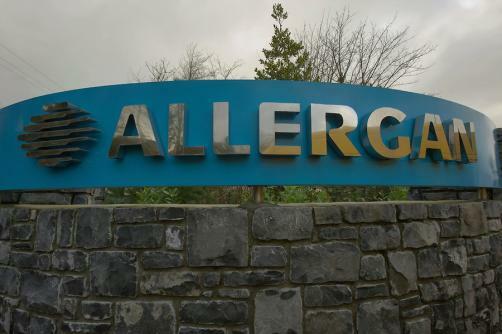 Allergan has revealed that Avycaz (ceftazidime and avibactam) has been awarded an expansion of its label by the FDA to include the treatment of complicated intra-abdominal infections (cIAI) in combination with metronidazole and complicated urinary tract infections (cUTI) in paediatric patients aged three months and older, marking the first approval in child patients for these conditions in over a decade. The approval was supported by data drawn from 128 patients between the age of three months and 18 years old across three trials, with Avycaz compared with meropenem in cIAI, and cefepime in cUTI. It was found that safety and efficacy relating to the therapy were in line with previous data. In cIAI, the clinical cure rate at the test-of-cure (TOC) visit in the intent-to-treat (ITT) population was 91.8% for Avycaz plus metronidazole compared to 95.5% for meropenem group. Avycaz plus metronizadole achieved a clinical cure rate of 90.5% and 85.7% for the predominant pathogens, Escherichia coli and Pseudomonas aeruginosa, compared to 92.3% and 88.9% with meropenem. In cUTI, Avycaz scored a combined favorable clinical and microbiological response rate at TOC of 72.2% in the microbiological-ITT population, compared to 60.9% with cefepime, while the microbiologic response rate for E.coli was 79.6% versus 59.1%. "Difficult-to-treat gram-negative pathogens pose a significant health risk, particularly to the vulnerable and sensitive paediatric patient population with few options for treatment," commented David Nicholson, Chief Research & Development Officer at Allergan. "As resistance rises among the gram-negative pathogens that cause these serious infections, the expanded label for Avycaz provides a safe and effective treatment option now for paediatric patients with cIAI and cUTI. These expanded indications in paediatric patients with infections, including infants and those at a particularly young age, address an unmet need among this vulnerable population and underscore Allergan's efforts in anti-infective research."